Here is a tasty treat that will become a favorite in your house. Mix all the ingredients together and pour into an 8 by 8 inch casserole dish. Bake for about 30 minutes. Don’t overbake; the center should be slightly wiggly. Cool and refrigerate for later use. 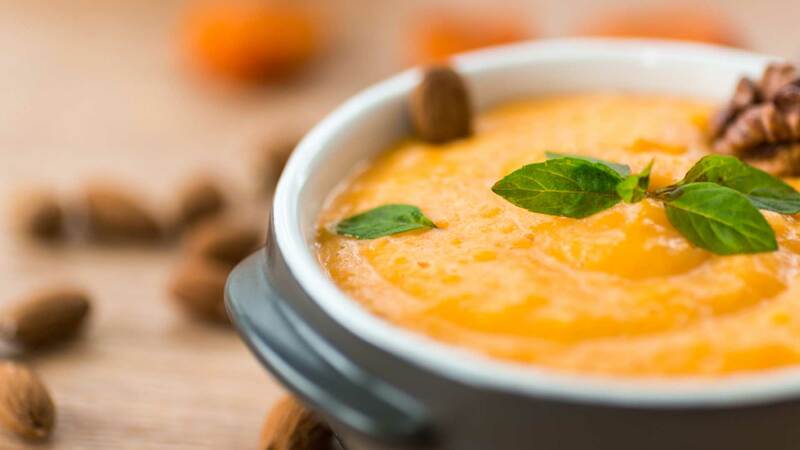 This healthy pumpkin pudding recipe is an incredibly versatile dessert. Here are some tips for serving it. Spread into a pre-made pie shell, top with blueberries and whipped cream, and serve as a quick pumpkin cream pie. Crush up one graham cracker into a bowl, scoop a 1/2 cup of pudding over the crackers, and sprinkle with mint leaves. Cut up bananas in a bowl and top with the pumpkin pudding for a rich treat. Mix Greek yogurt with vanilla and honey and use that in place of whipped cream on top. For a fun holiday dessert, serve it as a dip with ginger bread men as “crackers” for dipping.